After a nice walk through the forest Shadow Uchiha decides to do some training. "Alright I'm going to run 55 miles non-stop, with no water". Starting at slow pace he goes on his morning jog. When he reached about 15 miles he decides to speed up a bit and goes a little faster. Building up speed Shadow Uchiha goes deeper into the forest deeper than he's ever been before. After Shadow Uchiha finishing his jog Shadow Uchiha has no idea where he is taking a seat on the ground to rest up Shadow Uchiha looks around and takes in his surroundings. After studying the area Shadow Uchiha gets up to finish his training. Performing seals quickly Shadow Uchiha makes a couple of clones." Draw your katanas and each of you shall cut me fifty times". 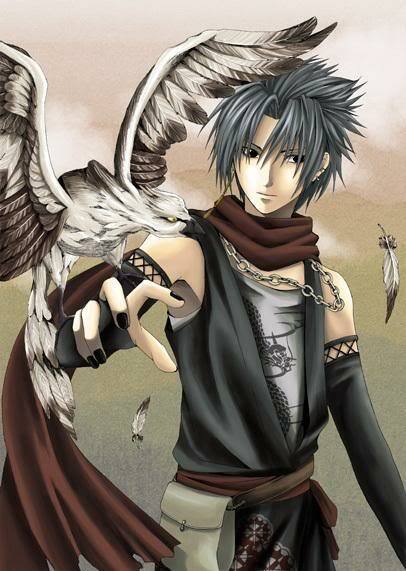 Shadow Uchiha takes of his shrit and waits for the cold blades to touch his skin. The clones rushed at Shadow Uchiha and he braced himself at the first slash, Shadow Uchiha didnt even flinch. After all the clones had cut Shadow Uchiha, he was in a weak state but got back to his training. Picking up his katana from the ground Shadow Uchiha ran through the clones and cut them all while he walked passed after he got the last one he put his shirt back on the way home about half way there the pain started to take over his body. Stopping Shadow Uchiha decides he'll go in the trees and stay out of the sun. Shadow Uchiha reaches back to the village and heads to the hospital just in time to stay alive.